Your smile is your greatest asset. One can win a million hearts with a dazzling smile. That apart, your teeth are one of the most vital parts of your body and our very nourishment and existence depends upon them. However, teeth might get stained with age, or due to excessive smoking and drinking. Hence, their proper care is very important and so you need to go for regular checkups to your dentist. But unfortunately most of us fail to do so. 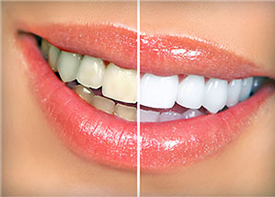 By opting for laser teeth whitening, one can lighten the shades of one’s teeth by up to ten shades, depending on the complexity and intensity of the stain. Some might want to try do- it- yourself methods, but professional treatments have always been known to have the best results. Are you always conscious of laughing out wholeheartedly and keep checking yourself just because your teeth would show? This can really corrode the self confidence of an individual but not anymore. If you have always been burdened with chipped teeth, cracked teeth, gapped teeth, crooked teeth, stained teeth and gapped teeth, then now it is time to set things straight. With the help of our specialist dentists who use various combinations of restorative and cosmetic dental procedures as well as an inclusion of white fillings, cosmetic dental bonding, porcelain veneers, cosmetic dental crowns, dental braces, dental bridges, dental implants and anything else as and when required. A missing tooth can be really detrimental to one’s self confidence. But thanks to the modern methods of installing cosmetic dental implants, you will be able to flaunt your dazzling smile all over again. 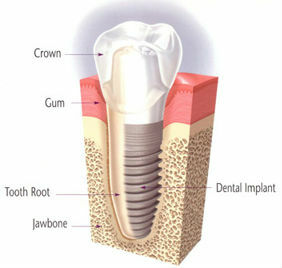 In this procedure, the dental implants are firmly secured to the jaw bone for maximum comfort. In the second sitting, a dental crown made from tooth colored porcelain is fixed atop it and it can function just like the regular tooth. Dental bonding can prove to be a perfect solution for those afflicted with a chipped or cracked tooth, a gap in the teeth. It has been known to improve the appearance of teeth that has been discolored or if the shape of the teeth needs to be changed, but anything major is not advised. Hardly any preparation is needed for dental bonding and it takes duration of three to ten minutes to work on it, and the effects might last for three to ten years. Porcelain veneers are used to straighten slightly crooked or displaced teeth to give the perfect alignment to our teeth and likewise, make our smile more endearing. It also helps to restore the original whiteness of the teeth which have been subject to discoloration from smoking or age related issues, especially in those cases where whitening is not possible. Chipped teeth can also be restored to its original form. Use of porcelain veneers is also an option in those cases where the alignment of teeth is crooked or they are formed in an unusual way, and when one doesn’t want to wear braces.